Sezzle is the future of retail and direct to consumer technology for the fashion sector. Sezzle, the leading US-based installment plan solution, announced today that they have added Aaron Tague, Richard Soto and Joey Paschette to their team. Prior to joining Sezzle, Aaron, Richard and Joey led the sales team for the Agenda Shows, which just announced it’s pivot to a consumer festival. Tague joins the team as Sezzle’s Sr. Director of Fashion, Richard Soto as Director of Brand Partnerships, Men’s Fashion and Apothecary and Joey Paschette joins as Director of Brand Partnerships, Streetwear and Action Sports. “I am ecstatic to be a part of the talented Sezzle team. Furthermore, the opportunity to be embarking on this journey with my close friends and colleagues Richard Soto and Joey Paschette was an easy decision. Sezzle is truly a consumer friendly platform that I have no doubt will transform the way people shop.” explains Tague. “I am excited to continue Sezzle’s rapid growth into the streetwear and action sports industries. This technology will be essential in the future for all ecomm businesses.” adds Paschette. Tague, Soto and Paschette come to Sezzle as veterans of the fashion and trade show industries, where they have a track record of building trust with brands and retailers in the fashion and lifestyle industries. 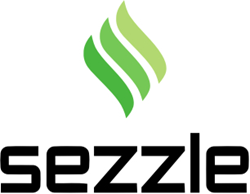 Sezzle is a company focused on financially empowering young consumers. Sezzle’s payment platform helps consumers gain access to additional purchasing power via interest-free installment plans. This increase in purchasing power increases sales for Sezzle merchant partners. Sezzle uses a proprietary underwriting model in place of traditional credit checks when making credit decisions, enabling them to approve far more applicants than other consumer financing solutions. You can learn more about Sezzle at https://sezzle.com.